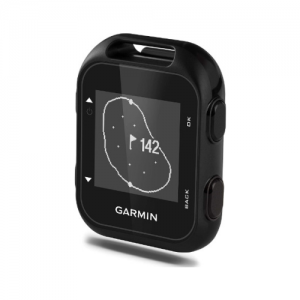 The G10 is one of Garmin’s more affordable GPS handheld devices for golf, and it was intended to be that way. You don’t have to give up on being a better golfer without spending a fortune as the G10 will help you get as close to breaking 80 as you ever have been. It’s a simple and easy to use GPS that clips on and displays what’s most important, the distance. The black and white LCD screen provides distances to the front, center, and back of the green. You’ll also have distances hazards, layups, and doglegs. Don’t forget the Green View and manual pin placement feature, too. Although its screen size is smaller than its G siblings, it has a sunlight-readable display that more than gets the job done. Buttons are big enough to use even though the device is small, and even if you have fat-finger syndrome. The G10 also has a better than average battery life for a Garmin offering 15 hours of play time before a recharge is required. Charging time is fairly quick only taking one to three hours at the most. 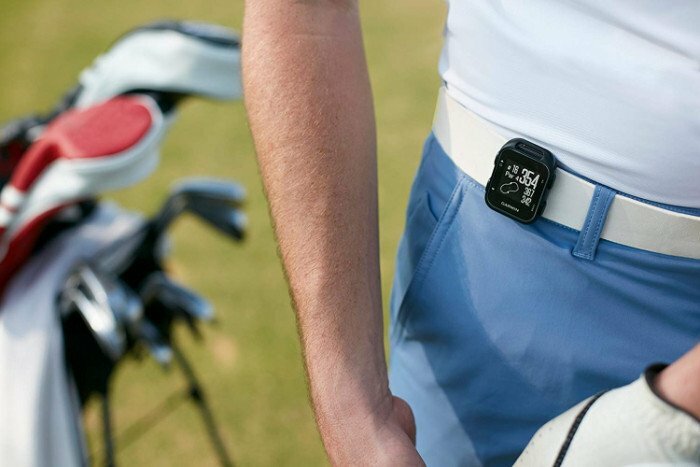 Clip this GPS onto your belt and move on to the next hole while it automatically moves with you. 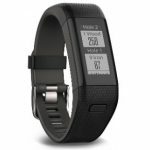 Digitally keep track of your score, and then upload it to Garmin Connect for post analysis. Don’t forget to update your courses when available. You won’t have to worry about fees or subscriptions either, it’s all free. Not too bad of a buy for around $100 for a Garmin, right? Other buyers agree, and the G10 is provides the essentials they need: the distance. However, some quality control issues tends to disappoint some users. What are some of Garmin’s GPS quality control issues? Reported complaints about the G10 is device failure after one use and failure to hold a charge. Some complaints include the inability to locate courses due to satellite connection, however, there are environmental factors that contribute to failed satellite connections and not device inability. Can the Screen be Read Looking down from your Belt? You can set the screen orientation to be flipped so you can read the display looking down to your belt without having to remove the GPS. How do you Replace the Battery on the Garmin G10? You can’t replace the battery on the GPS watch. 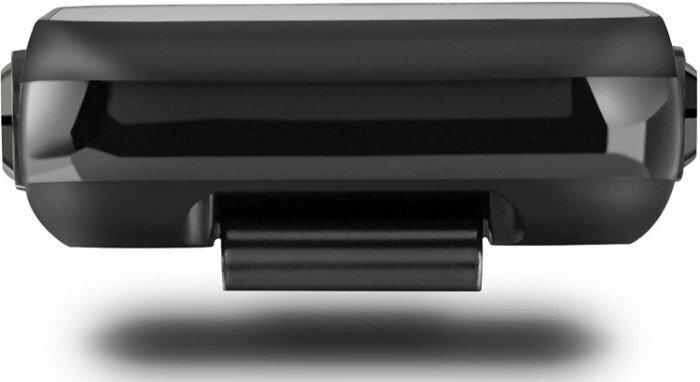 The battery is rechargeable via the charging cable included. Does the G10 calculate Slope Distances? The G10 does not calculate for slope. It’s also a tournament legal golf GPS. How does the Handheld G10 GPS charge? You can connect G10 to a laptop via the USB port, or it can be charged via a USB wall charger. 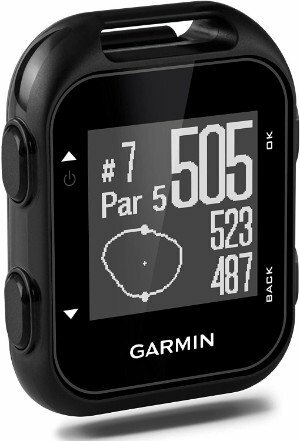 Is the Garmin Golf GPS waterproof? The Approach G10 is IPX7 rated. According to Garmin, this is suitable for rain, snow, splashes, and showering. What is the Difference between the G10 and other G Handheld GPS units? The G10 is the simplest G unit in the series, and it’s also the most affordable. The G30 and G8 GPS models have color touch screens, are bigger in size, and are compatible with the TruSwing device. The G8 model is the feature-loaded model of them all with PlaysLike Mode, PinPointer, Club Selection, and much more. No subscription or annual fees! To ping up the strokes, the Approach G10 is our kind of golf gadget. It’s uncomplicated, buttons are big enough to positively use, and it’s priced just right. 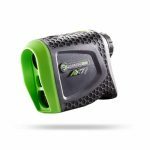 Too often, golf GPS units get too fancy to use on the green and end up being a hindrance than a benefit. The G10 keeps things simple and provides the most important stat – the distance. However, if you’re the techy type that gets a handle on features quicker than others, the Approach G8 would pique your interest. It’s the loaded model of the G series units, and its price reflects it too. But, the G10 doesn’t have a voice feature that many golfers like about clip-on units. Why bother looking at your GPS when it can talk to you? The Golf Buddy VoiceX is new and smarter than ever. The Voice models have always been a hit GPS, but the VoiceX is bound to outrun them all. It’s also sporting a new, sharp design. The G10 keeps the focus where it needs to be: on golf. It’s obsessed with everything golf and only golf. It doesn’t need other distracting features to make it a winner on the green. It has what matters most, the distance.